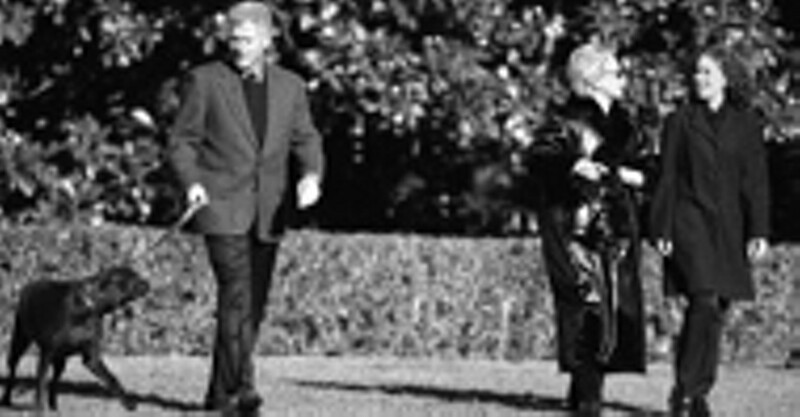 Getty Images Post-Monica admission, the First Family heads to Camp David. 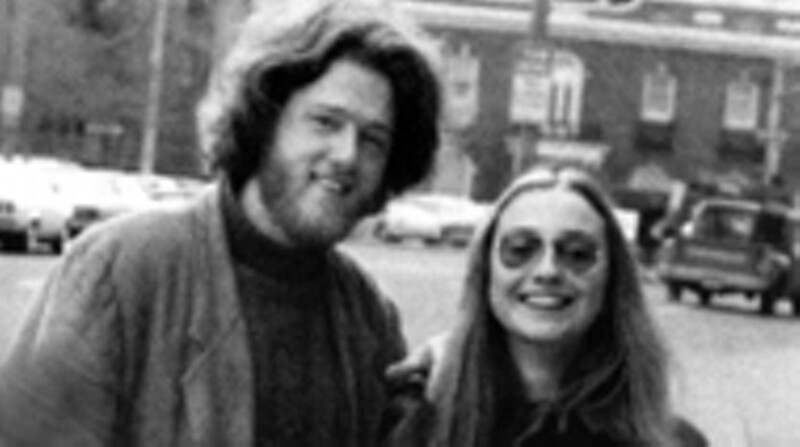 Hillary: "Buddy, the dog, was the only family member talking to Bill at that point." If you can trust the word of a publisher in promotion-mode, then Living History is making money: Simon & Schuster reported on Tuesday, June 10 that 200,000 Americans had celebrated the first two days of publication of Hillary Rodham Clinton's memoir by paying $28 and taking it home. We asked some American novelists -- John Updike, Erica Jong, David Gates, Louis Begley, Francine Prose and contemporary romance writer Laura Moore -- to assess the book: the already classic telling of the scene in which the hang-dog President wakes his wife and confesses to the stunned and seething First Lady, as well as the section in which the two prepare for the cumbersome machinery of impeachment to be wheeled into place. Of course Living History is about politics, and of course its publication is a political act, but in this case the political is personal as well as fictional, at least in technique. 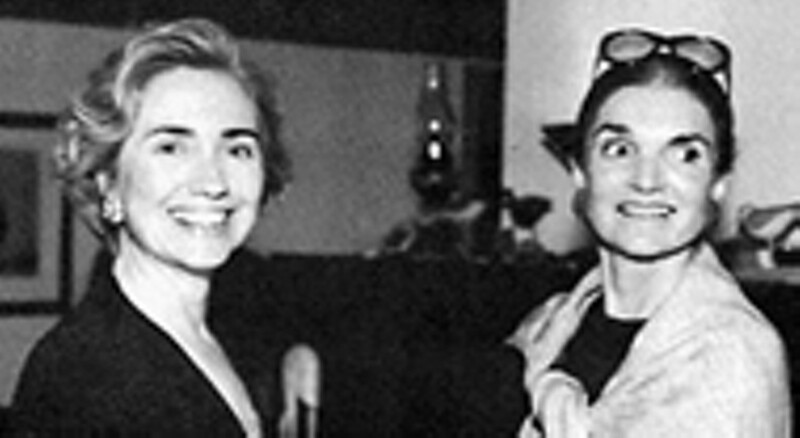 Her opening line, "I wasn't born a First Lady or a Senator," surely could have opened any book by Fannie Hurst. 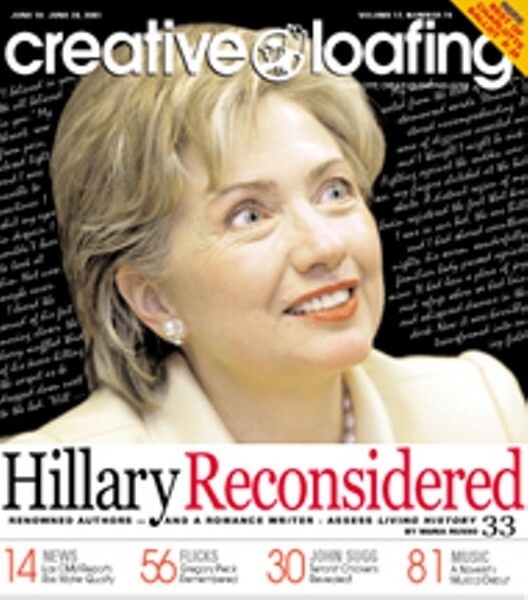 And Senator Clinton's story is well wadded -- "I wanted to wring Bill's neck," "I wore a glorious burgundy Oscar de la Renta creation," "If Mandela could forgive, I would try" -- with the stuff of pulp fiction. James M. Cain, however, is not listed in the acknowledgments. How does a panel of professionals rate her performance? 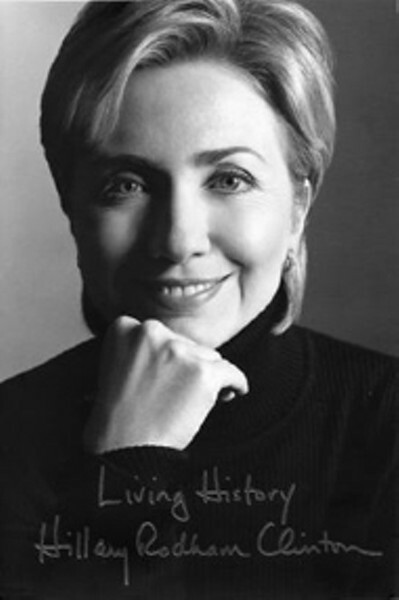 Senator Clinton is an excellent and thorough-going politician and not a novelist; her description of "the most devastating, shocking and hurtful experience" of her life is nowhere as moving or human as the legalistic vignettes of furtive partial pleasures in the Starr Report. Her surprise at her husband's belated confession is indeed surprising, as if they had never quite met before. But I loved the sentence, "I hadn't decided whether to fight for my husband and my marriage, but I was resolved to fight for my President." Her citizenship is ardent. John Updike's most recent novel is Seek My Face (Knopf). In any campaign biography, the writer -- or her ghost -- solicits sympathy for the campaigner while pretending to be telling the truth, the whole truth and nothing but the truth. Living History is no different. Hillary Clinton's moment of maximum public sympathy arrived when she became the woman scorned, and she has no intention of letting us forget it. "This was the most devastating, shocking and hurtful experience of my life," she writes. "I was furious and getting more so by the second," she writes. "[H]is eyes filled with tears. He had betrayed the trust in our marriage and we both knew it might be an irreparable breach." With these soapy sentences, Hillary reminds us relentlessly of her instant of greatest P.R. glory, the moment she stopped being too brainy, too brilliant, too adamantine and became, in the tabloids, just another betrayed wife. How pathetic that she has to twang our heartstrings in this cheesy way. Hillary Clinton has changed the role of First Lady for all time. Like Eleanor Roosevelt, her mentor, she has proved that the First Lady can be more compelling and empathic than the President. The woman is stronger than Queen Elizabeth I of England, a greater strategist than Catherine the Great of Russia, braver than the Amazons of old. And yet the demands of fame in America are such that she has to grovel to the appalling level of reality TV to get our undivided attention. The fault, dear readers, is not in Hillary, but in our ghastly mass media, which only applauds brainy women when we are reduced to tears. Erica Jong's most recent novel is Sappho's Leap (W.W. Norton & Company). In my line of fiction, we call it the "black moment": the moment of crisis between the heroine and hero, when they discover that their love and trust are in jeopardy. You've done a great job, in Living History, of setting the scene for the key confession/confrontation, but if I may, I'd like to make a few suggestions to turn your story into a real "keeper" for your fans. We need to feel your pain. The best romance novels wring every last drop of emotion as they expose the heartache of betrayal. Simply crying, yelling and saying you're furious won't make those pages turn and those readers' eyes moisten with tears of understanding and connection. You have to make us identify with you as a wife and lover. Let's see whether we can't open up this scene in the bedroom (terrific choice of setting, by the way) and let the reader share more fully in your thoughts, emotions and reactions when Bill drops the bomb. My mind reeled from the blow of his softly stammered words. Stunned, I stared uncomprehending. A wave of dizziness assailed me and I thought I might be sick. Fighting against the sudden nausea, my fingers clutched at the bed sheets. A distant region of my brain registered the fact that here I was in our bed, the one Bill and I had shared countless nights, his warm, wonderfully familiar body pressed against mine. It had been a place of joy and refuge where we had lain and whispered dreams in the dark. Now it was horribly transformed into an icy field of lies. As though of their own accord, my hands released their hold to wrap themselves protectively about me as I shivered from the tears coursing down my cheeks, from the awful chill invading my heart. A scream of pain rose up inside me, and yet all I managed was a broken whisper. "Why, Bill, why? Why did you lie to me?"